In 2006, a group of parents, teachers and community leaders joined together to create a non-traditional public charter school in West Hawai‘i. Motivated by a desire to provide an innovative educational program to our rural, underserved community, the group founded Friends of Kona Pacific Public Charter School. 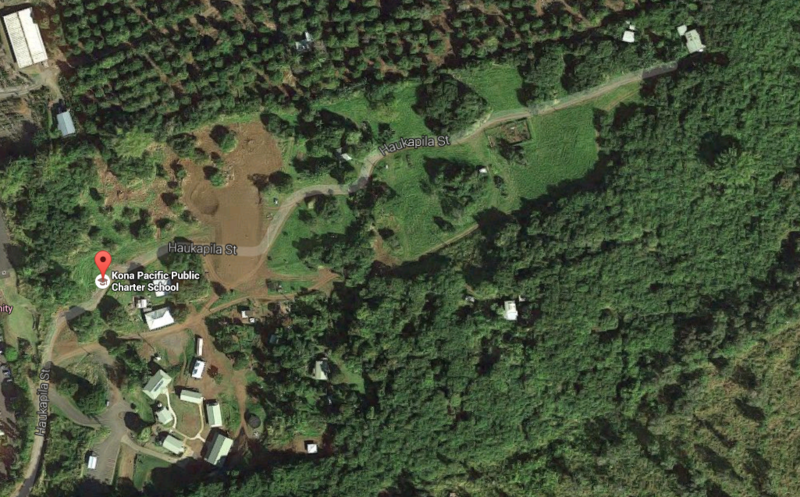 Friends’ 40-acre learning center site is located mauka (above) the Kona Community Hospital in Kealakekua. The Kona Pacific Public Charter School’s 2.5-acre campus is located here, along with an organic farm and several teacher and school staff residences. Friends works in support of Kona Pacific School, but the two entities are independent of each other. Friends is a 501(c)3 nonprofit, and Kona Pacific is a public charter school, and therefore a sub-agency of the State of Hawai‘i. Together, the two organizations pursue parallel missions of service to the West Hawai‘i community. Operate the WHOLE Food Service, West Hawaii’s only federally approved food service vendor, providing universal breakfast and lunch to 230 Kona Pacific students, 68% of whom qualify for free or reduced price meals. Feed an additional 400 at-risk West Hawai’i residents from age 9 months to 93 years old, with community partners Head Start, Early Head Start, Meals on Wheels, Hawai‘i County Parks and Recreation, and Punana Leo o Kona preschool. Serve as a model school for the national Fresh Fruits and Vegetable program. Pioneer universal breakfast in the classroom. Kona Pacific is the first school in Hawai‘i where all students eat a nutritious breakfast for free at the start of the school day. Implement a highly successful AmeriCorps program, with seven AmeriCorps volunteers providing labor for farm development while receiving valuable training. Partner with the Natural Resources Conservation Service (NRCS) in the development of the first commercial “food forest park” in West Hawai‘i. Strengthen charter schools locally and nationally through leadership on the Hawai’i Public Charter Schools Network board, Hawai’i State Charter School Commission, and Alliance for Public Waldorf Education. Create critically needed economic development for our community: 40 full time and 25 part time jobs and an operational budget that adds more than $2 million annually to our local economy. This entry was posted in Uncategorized on November 25, 2014 by Ana Currie Ramirez. Kitchen Groundbreaking December 19, 2018!